Having grown up in the Quinte Region, Michael enjoys the opportunity to work within his hometown community and provide services to the residents of this area. A graduate of the Denturism Program at George Brown College, Michael obtained his licensed in 1996 from the College of Denturists, and is a long-standing member of the Denturist Association of Ontario (DAO). As an active member of the Denturist community at large, Michael strives to uphold and advance the profession of Denturism and to serve and help the public at large. He holds several positions with the College of Denturists of Ontario (CDO) and is Past Vice President of the CDO Executive Committee. Michael is also an active member of the Quinte and area business community as a member of the Chamber of Commerce and a long standing member of the Belleville Sales and Advertising Club, where he served for many years on the Board of Directors, most recently as Past President. In his spare time, Michael enjoys playing Ultimate Frisbee and being outdoors, but most of all he loves spending time with his family. Mike Vout has been providing denture care to his patients in the Quinte Region for nearly 40 years. He is dedicated to the continued advancement of Denturism and works with multiple organizations in his spare time. He is the Past President of the Denturist Association of Ontario and Denturist Association of Canada, and is the current Canadian representative of the International Federation of Denturists. 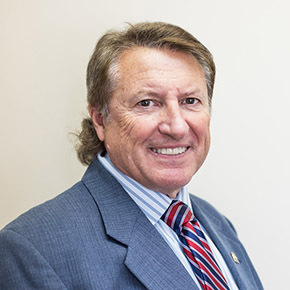 In 2004, he was awarded the George Connolly Memorial Award for Denturist of the Year for his outstanding effort and achievement in the advancement of Denturism in Canada; and in 2007, Michael received an award of Recognition and Acknowledgement by The Denturist Association of Ontario. In 2015, the IFC inducted Michael into the Brotherhood of Sterkenburgers, an honour granted to one Denturist per year around the world. A 2010 graduate of the Denturism Program at George Brown College in Toronto, Brendan is licensed with the College of Denturists of Ontario, and is a member of the Denturist Association of Ontario (DAO). 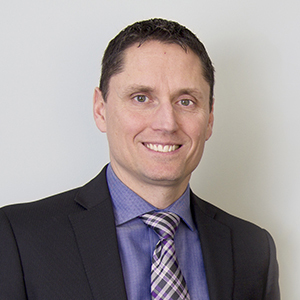 Brendan grew up in Mississauga and began his career as an Associate Denturist in the Brampton area working alongside dentists and denture clinics, and participating as a member of the Denturism Implant Study Club. After practicing around the GTA for several years, Brendan was looking for a place to settle with his wife and family. 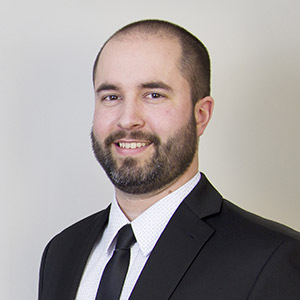 He made the decision to move to Belleville in 2015 to join the Vout’s team as an Associate and now enjoys his time as a resident of the Quinte region.